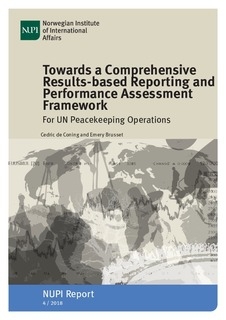 This report considers the tools and processes that DPKO and DFS currently use to assess the performance of senior personnel, individual units and peacekeeping operations, and proposes a methodology for reorganizing these tools into a single overarching comprehensive planning, reporting and performance assessment framework. We argue for a shared analytical framework for performance assessment, across the UN system, and show how the terminology used by the United Nations Evaluation Group can be applied in peacekeeping operations. Currently, performance assessments of peacekeeping operations are undertaken as a number of independent processes which serve different constituencies and a range of purposes. This report identified eight different tools, each performing its own data collection and analysis. They are concentrated in two distinct areas across the spectrum. On the one hand a group of tools focus on outputs (measurable actions undertaken), and on the other a few tools focus on strategic analysis of the context – where the link to the peacekeeping operation is very tenuous. As a result, the information generated by the current tools are not able to be aggregated into a meaningful overall assessment of the performance of a given peacekeeping operation. The report endorses the principle of establishing a single comprehensive planning, reporting and performance assessment framework (the Framework) which brings the existing policies and tools together into more efficient interaction. In addition to what exists already, we recommend developing a performance assessment design that supports the Framework and the RBB with information on the performance of the mission against its plans, objectives and mandate. 1. We recommend the establishment of a single comprehensive planning, reporting and performance assessment Framework that incorporates the current planning and evaluation policies and tools, including the RBB, and that adds a new performance assessment tool and a predictable planning and decision-making cycle. 2. The Framework needs to envision a strategic planning horizon that is linked to the timeframes necessary to achieve the mission’s mandate, and should not be limited to the period for which the mission is currently authorized. 3. The Framework should contain a performance assessment tool should consisting of three elements, namely a set of indicators for each performance area, a process for analyzing and reporting on performance, and a platform where all the information gathered is stored for current and future use. 4. For each mission, the Framework should be grounded in a context analysis that identifies the key drivers that shape developments in the conflict-system that the peacekeeping operation is intended to influence. It should include in particular the identification of key drivers of change, which are the events or trends which will trigger significant change. The context analysis identifies, and analyse the critical conditions that influence these drivers, and the mission’s effects-based plans should be aimed at influencing these critical conditions, so as to have an impact on the key drivers. 5. Central to a performance assessment is defining the manner in which outputs are intended to influence the critical conditions around key drivers and actors. 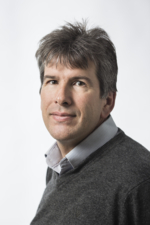 Clearly articulating the intended influence (the so-called ‘theory of change’ in evaluation terminology) helps to anticipate what impact a peacekeeping operation can be expected to have on a conflict-system, as the triggers, or drivers of the process of change have been clearly identified as part of the context analysis. • A digital platform which can capture, through big data solutions, the information in the existing systems, and present it into a single dash-board interface.